areas of Cameroon and shall proceed to Internet distribution. collaboration with Caritas, a big Catholic NGO in HongKong. models with many still refurbished 486 models. ▀ Refurbished late model computers for educational use only. ▀ Trained staff and former students who will teach in the various centres. ▀ Technical staff in our organisation to maintain the equipment. 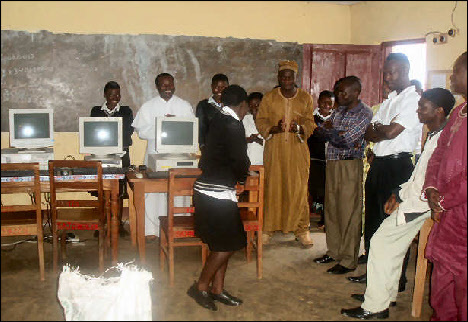 Schools shall provide their own computer teachers and housing facilities. Students shall pay a token fee for the maintenance cost. If you would like to apply on behalf of your school, please fill out our standard application form (available here for you to print) .